The history of Hashomer Hatzair in North America began in 1923 (2013 was the 90th anniversary of the movement in N.A.) with the arrival from Europe of Jewish immigrants - members of the youth movement in their countries of origin. They established chapters (known as 'Kenim') in major cities around the US and Canada. The first summer camps were set up in 1928. A training farm was founded in New Jersey for the purpose of preparing groups of young adults for communal farming and life on kibbutzim in Israel. Throughout the years Hashomer Hatzair has played key roles in Jewish history. 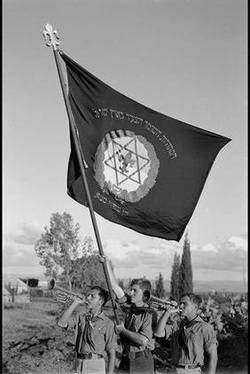 In 1936, members of Hashomer were among the vanguard of the Haganah, the Jewish self-defense organization of Eretz Yisrael. In 1943, Mordechai Anilewicz, head of the Warsaw branch (Ken) of Hashomer, led the Warsaw Ghetto Uprising against the Nazis. After W.W.II, with the influx of Holocaust survivors and the need to settle and secure Eretz Yisrael, Hashomer Hatzair members founded some 30 kibbutzim in the years surrounding the creation of the Jewish State. This history acts as an inspiration for the movement to continue fighting for its ideals of Zionism, Social Justice, and Peace. 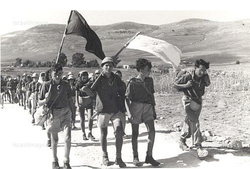 Since the founding of the movement, thousands of youths have attended Hashomer Hatzair camps, running and participating in the year-round activities of the movement's various chapters where they established lifelong friendships with their peers. There is no exact figure of how many Shomrim there are in North America and throughout the world, because there is no set way of determining affiliation. By guesstimate, there are currently approximately 500 Shomrim in North America, and over 15,000 in the world. weekly activities run, called "the Ken". Making Aliyah has always been considered an important goal to be achieved by Hashomer Hatzair members. 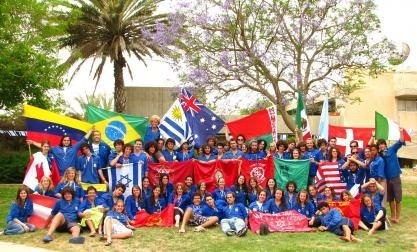 However, today more emphasis is put on the more current issues of Jewish continuity, strengthening the bond with Israel and instilling the universal values of equality, justice, tolerance, the pursuit of peace, as well as the importance of getting involved in their local communities, whether they be in North America or in Israel. Hashomer Hatzair, as a progressive Zionist movement, will continue its educational activities in North America. It will continue to inspire thousands of Jewish youths in North America to become better citizens and proud Jews wherever they choose to build their future.